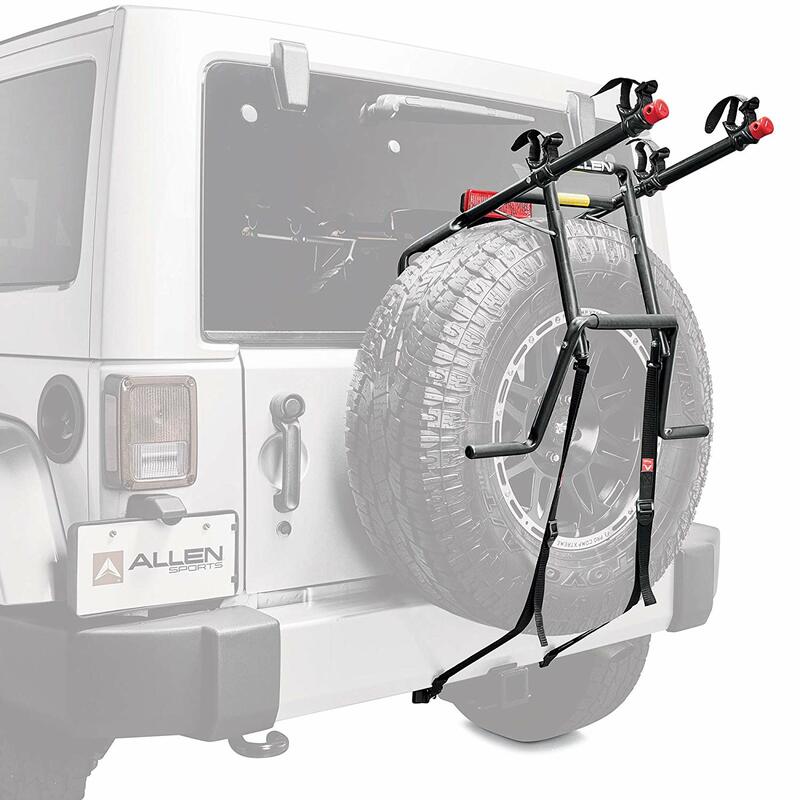 SUV's with the exterior spare tire can be an issue for bike racks when they have no trailer hitch alternative. My 'vintage' 2004 Honda CRV has a configuration that excludes most all other options. This rack, however, works VERY well and at this price, I am especially impressed with its robust construction, simple operation and stable performance. It clamps nicely over the spare tire - even with the tire cover left on - so on and off is not a struggle. You can download the installation pdf from the manufacturer's web. I use the rack to carry only one relatively light road-bike of 14 Lbs. The installation sheet recommends no more than 70 Lbs. (two bikes) and I have no doubt of its ability to carry that load. The aluminum (tbr) tubing and nylon straps are up to the task, and the hard rubber tube clamps secure the bike's frame without abuse or scratching of the paint. I've taken it on a number of "rides" on country roads of 55mph with occasional bumps and it rides steady without issue. The key are the two straps that need a snug pull, on a solid attachment, low and wide of the tire. The clips are meant to attach just under the lip of the opened door, or hatch. I'm not as comfortable as I should be (?) with that method and so connect the hooks to strong points on the underside of the bumper: don't let the straps contact exhaust pipes or muffler! The last two photos below illustrate the tie down points that I used beneath my Honda CRV). 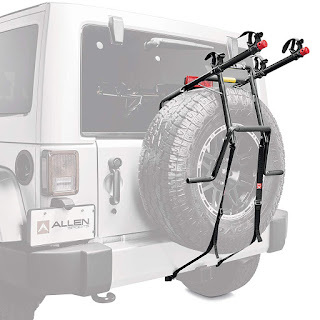 For SUV's of similar configuration - you can't go wrong with this rack, thoroughly recommended!